So last might the ALL Committee were hard at work as usual, sorting stuff and generally putting the world to rights. In fact this was our social evening so the phrases “Art”, “Language” and “Location” were scarcely to be heard. We had a lot of fun, and now we head into September and within striking distance of the ALL opening night. Many, many thanks to our lovely team (and to those who couldn’t make it last night) for all your hard work. 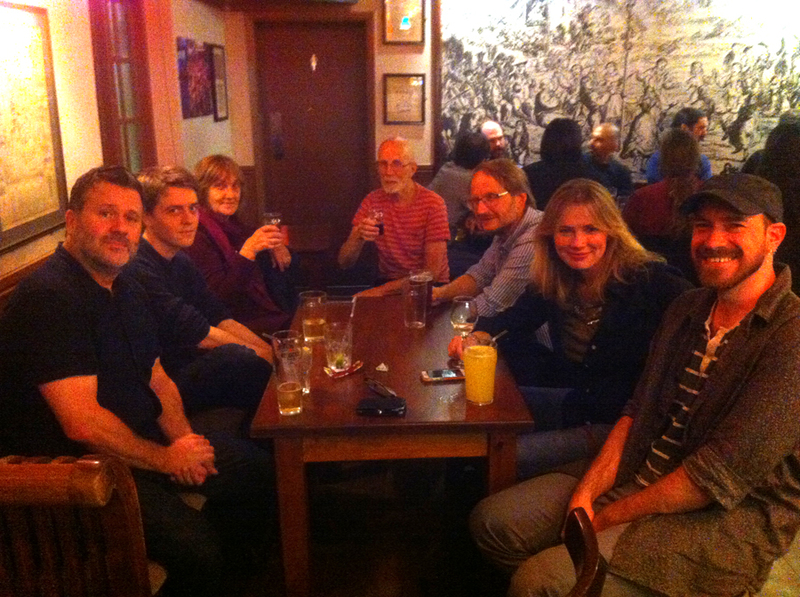 L-R Peter Sutton, Josh Murfitt, Rosemary Catling, Kato Catling, Robert Good, Teresa Harrison, Matthew Wilson, and behind the camera, Susie Olczak. We can always make use offers of additional help over the coming weeks, so if you would like to join us or can spare a few hours, do get in touch, all contributions very welcome! Meanwhile, have a great holiday weekend.